We all have had to get new tires for our cars. Maybe the tires on your car were bald so you got new ones. Or perhaps you needed snow tires for the upcoming winter. Whatever the reason, don’t throw away the old tires! There are so many things you can do with old tires. It would be such a shame to just throw them away in the garbage. 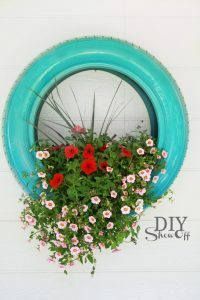 Here are 5 awesome repurposing ideas for old tires that everyone will love. 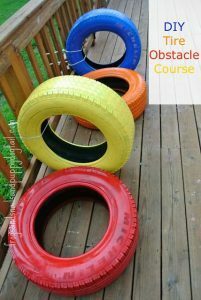 Create an amazing obstacle course for your kids! Have the tires on the ground or standing upright for them to crawl through. You can time them for races, have them do it for exercise, or just for fun. It could even be a fun activity at a birthday party. This is such a fun and creative way to plant flowers. You can paint the tire any color you want and hang the tire in your yard. It will look so great hanging by your house. Have your kids help you make this, they will have a blast! It’s also pretty simple to make so you could make a bunch of them if you wanted to. Use an old tire to create a fun spot for your kids to sit. All you need to do is paint it and create a seat for it. You can use any color or fabric you want. Make it fun and girly, bright and outdoorsy, or sweet and sassy. You have total creative freedom. Your kids can use it to read in, or to watch TV. Make a reading nook or put it in their playroom. I can’t be the only person whose hose gets all tangled up. 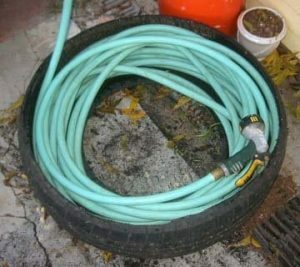 You can use a hose to make a nice spot for your hose to go so that it will never get tangled. Easy peezy! Whenever you need your hose, you can use it without having to undo all the knots first. Wouldn’t that be nice? This project is super simple and can be done with minimal effort. If crafts aren’t your forte, this would be a great project. This isn’t complicated and doesn't require a lot of creative juices. I know. Obvious. But these are so much fun! Your kids would absolutely love a tire swing! Tire swings are a classic use of old tires. There’s a reason for that. They are a blast to swing on and kids always love them. 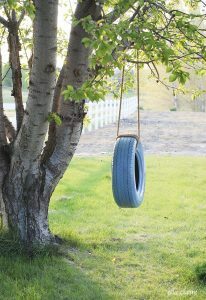 If you have a good tree in the yard, then you’d have a good place for a tire swing. Put one up and see how much fun your kids will have! 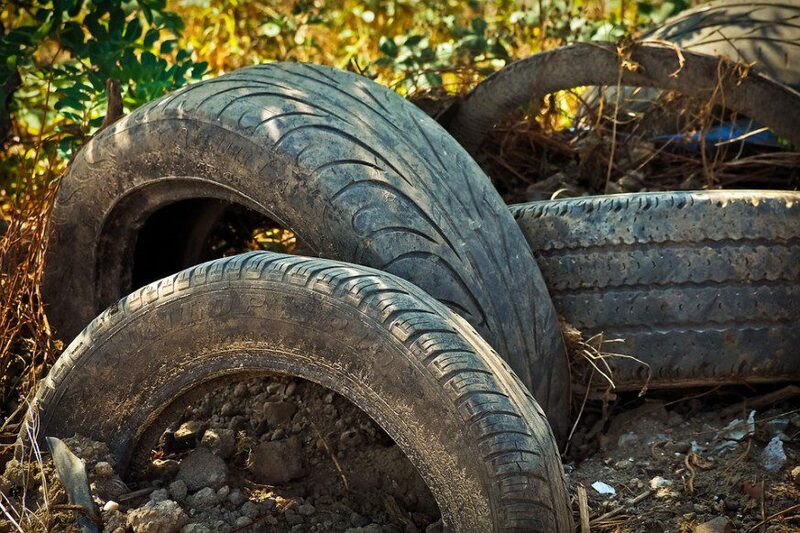 There are so many more uses for tires and this list barely makes a dent. Don’t throw away old tires, think of a fun way to use them. You could grow flowers in one, swing from one, or sit in one. Whatever you decide to do, I know you’ll have fun doing it!